ग्ली Pillows!. <333. Wallpaper and background images in the ग्ली club tagged: glee. but theyre all still so adorable! And what about Tina, Mark and Artie? Blaine Kurt and Sam's are adorable!! I want one! 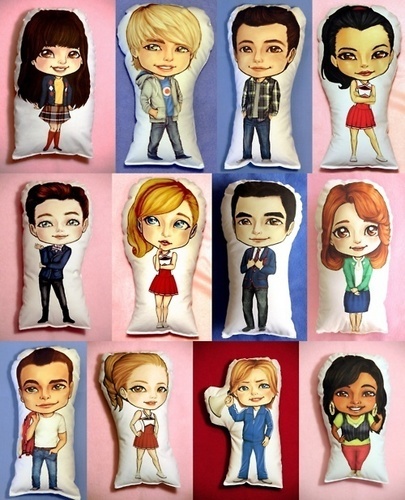 I wish they had an Artie one..